Astrology ways to Use Face Book Positively Astrology ways to use twitter, Linked in and other social networking sites. 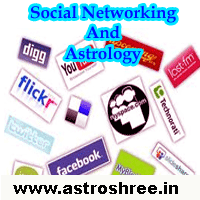 How to generate positive impact in life through astrology ways of using social networking sites. It's a totally new topic for my honourable visitors but i am sure that all of you will get benefit from my this article. This article will open a new way of success before you. I am going to reveal a great mystery of how to use the social networking sites as per the astrology principles so that it will generate positive impact in life. Now a days Face book, Linked in, Twitter, Google + etc are thriving very much and there are other social networking sites too in which people are busy in gossiping and sharing views of different types. Social networking sites are now a days a great way of doing business as well as spending our spare time. 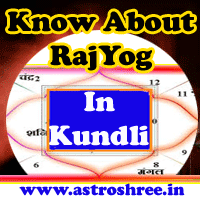 By using social networking sites in a astrology ways you can get the power of planets. By using right color combination, right graphics, proper identity in a astrology way you can win the heart of people. You can open the earning source through social networking sites by following some easy principles of astrology science. You can make positive impact in the society by using the social networking sites in positive manner. You can increase the planetary power by following some tricks easily. So if you want success in personal life, If you want to rock in professional life, if you want to be a millionaire, if you want to attract more visitors in your network then do ready to know the rules of generating positive powers through astrology. Some people do not share their identity. Some make fake profiles on social networking sites. Some use vulgar languages in social networking sites. Some are sharing negative types of comments. Some are expressing their disappointments through negative impressions. Some shares very negative types of feelings in social profile. Whatever you think will happen in long run. Social profile or your social area will represent you. If you want to get positive environment just share only positive views. Don't let the people know about your sad moods. Show your original identity it will make your planetary power strong. Color combination is very important. ist of all know which by consulting an experienced astrologer that which planets are supporting you and as per that use the colors in your social profile. Use some motivating tag line. Don't use any abusive languages it will destroy your image and it may increase the evil powers in your life. If you show your griefs in social sites then remember you are going to attract the negative energy which will make your life more complicated. Try to be positive, Show your real identity. Publish your impressive photo with a smiling face which will act as a temptation for a new user. Remember there is a problem every where and every one wants to share some moments with person who can make their moment positive. So by showing your smiling photo is a invitation to join your network positively. Don't use vulgar languages or photos in facebook, linked in, Google+ and other social networking sites. It will be the invitation to make link with evils and it will minimize the power of your good planets. Try to share your dream plan or objective in your timeline so that You will be in touch with your dreams every time. One very important thing is that if you share any dull photos of you or any unclear photos it means that you are increasing the impact of rahu or ketu in your life, it may increase the grahan yoga in your life. So be clear, be smart and be a winner by sharing clear picutures of you or your business. Always reply positively if some one communicate with you. And if you find any thing good likes it and share it. It will increase your creativity, alertness and on the astrology point of view you are giving power to your venus, sun, Jupiter and thus you are going to open the way of success. If you share a good things which helps people then be sure that you will get good wishes which will may clear many obstacles of your life. Remember that "agar sab kuch takdir me likha hota to khuda apne bando ko dua maangna nahi sikhata". There is a great power in graces and blessings. So try to make positive environment every where if you want to have positive life, a successful life. I hope this article will definitely give some benefits to the Facebook users, twitter users, linked in users and other social networking users. The ways i cleared here are simple there is no need to spend extra just you need to change the way of using the social networking sites to increase the positive powers in your life.